But know and feel to be. I believe deep inside lies a flame. A light if you will. I call it faith. I don’t mean religion. Religion is how many chose to embrace, celebrate and nurture their faith. But faith comes in all formats and I believe in each one of us exists this glowing essence. Faith is the language of the soul. The glow from within. 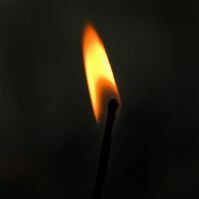 The flame glows mightily for some and almost imperceptibly for others. But it’s always there, none the less. Some spend their lives disbelieving what their soul whispers to them in the night. Some spend their lives questioning that which they cannot understand even though they feel it inside. Some spend their lives on a quest embracing that which they cannot understand but chose to accept. And some radiate the glow from within for all to see. Faith is the language of our soul and whatever you decide to accept and believe, it will always be there inside, waiting to come forth. I believe faith is the flame that shines within your soul that brightens your hopes, your dreams, your possibilities, your life. This I believe. Yes that is exactly what I mean, Yoshiko. Well spoken dear friend! It is like reading it for the first time and I really enjoyed it. Thank you. Hugs to you and your family Penny. Hello Oliana, thank you so much for your lovely compliment. We do agree. indeed. Have a wonderful weekend ahead! Reminds me of a conversation regarding faith and beliefs. Just because you cannot see something does not mean it is not there. We cannot see air, can we? Hugs and love!